Depression is so common that just about everyone falls victim to it at some stage in life. There are times when you can pinpoint the major causes of your state. However, there are times when you will endlessly keep on trying to figure out why you are depressed. Whatever the causes of your depression are, it is important that you overcome this condition in order to live a stress free life. However, before figuring out how to beat depression, you need to diagnose the root cause of your condition. You should als read our article on what is depression in order to better understand this condition. Depression is a syndrome that is reflected by a sad behavior, usually exceeding the normal grief. This serious disorder can affect individuals of any gender or age. The three main types of depression include major depression, dysthymia and manic depression. Major depression is a very severe condition that is usually characterized by loss of appetite, weight loss, feeling of hopelessness and sleep disorders. This type of depression can last up to two to three weeks. The second most severe type of depression is Dysthymia. Its symptoms are very unique with reckless behavior, pain in various parts of the body and loss of energy being the main symptoms. Suicidal thoughts and lack of concentration are also possible in people who are suffering from Dysthymia. Manic depression on the other hand is characterized by irritation, a feeling of loneliness and sleeping disorders. External factors are not the only, or even the main, causes of depression. In fact, research shows that there is not a single factor that causes depression. Instead, several factors combine forces to trigger this disorder. 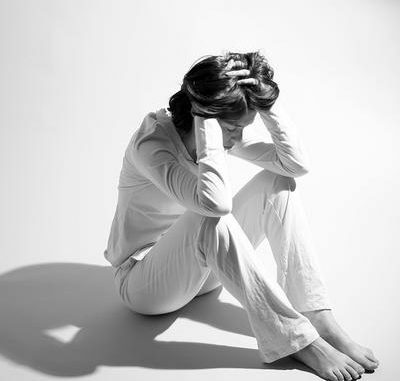 Here are some of the major factors that can trigger one into a state of depression. Studies show that older folks are at a higher risk of getting depressed than younger people. This is attributed to lack of both emotional and social support in elderly people. In addition, women who are in their menopause years are more prone to depression than younger women due to hormonal imbalance. There is a real cause and effect between a serious medical condition and depression in most people. Contracting a serious illness like cardiac problems, terminal conditions and other conditions can greatly increase your chances of getting depressed as well. Depression can be a side effect of various prescription medication as well as drug and/or alcohol abuse. If your prescription medication is triggering this disorder, then you need to consult with your doctor as soon as you can. In addition, you need to stop taking alcohol and hard drugs that are major triggers of depression. Traumatic events like the death of a loved one, divorce, loss of livelihood or assuming the role of the primary caregiver can trigger depression in most people. In other instances, life’s major positive events like getting married or bearing a child can also trigger this disorder in some people. When trying to figure out how to beat depression, you need to start off by accepting your condition and identifying the root cause of your state. Overcoming depression requires deliberate effort and commitment from your part. Here are five straightforward ways of beating this disorder without visiting a doctor or spending money on drugs. Exercising well is a very good tip on how to beat depression. Choose activities that you love and enjoy doing without much difficulty. This will boost your mood and the overall self esteem while taking your mind off what is causing your condition. Staying outdoors while enjoying sunlight can help you eliminate depression. Consider getting the warmth for up to 30 minutes a day. Walking in the sun either in the morning or in the evening with your head held high is a great way of boosting your self confidence while acquiring the mindset of a conqueror. You need to figure out what usually helps you in overcoming depression and stick to it. Beating depression requires patience and deliberate effort. Therefore, if you are faced by a difficult situation, then you need to set a goal, acquire a winning attitude and commit yourself to realizing that goal. Alongside these, you need to stay focused, believing that every step you take is an improvement in the right direction. Some people believe that they can drink their depression away. However, the truth is that drinking makes things even worse. You need to avoid a drinking lifestyle and in its place adopt a healthy lifestyle free of hangovers. Consider eating a balanced diet and drink a lot of water. This is a great technique that you can use while learning how to beat depression successfully. Taking Yoga and other breathing exercises can help you relax your mind and body. You need to feel fresh and relaxed if you are to beat depression fast. Depression can truly cripple your life by affecting your productivity as well as your social and physical health. Your first step towards conquering this condition involves acknowledging and accepting your state. You need to know that it is normal to get depressed at some point in life. You should never blame yourself for being depressed. With determination and focus, you will figure out how to beat depression naturally and enjoy a stress free life.